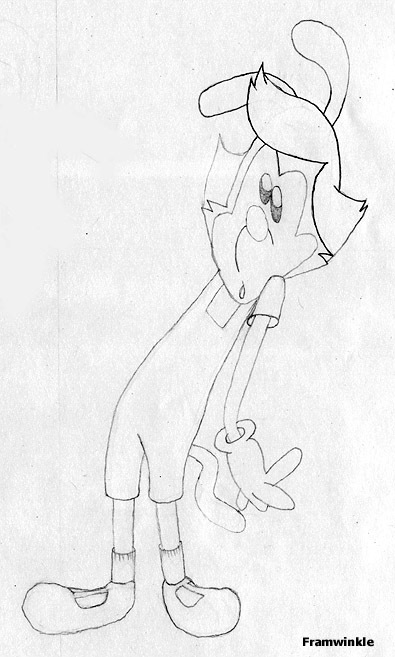 For an experiment, I tried different outfits on Yakko, just for the fun of it. I imagined that as toons, the Warners might get into some very interesting fights, such as forcing wardrobe changes on each other just to see who could embarrass the other more. 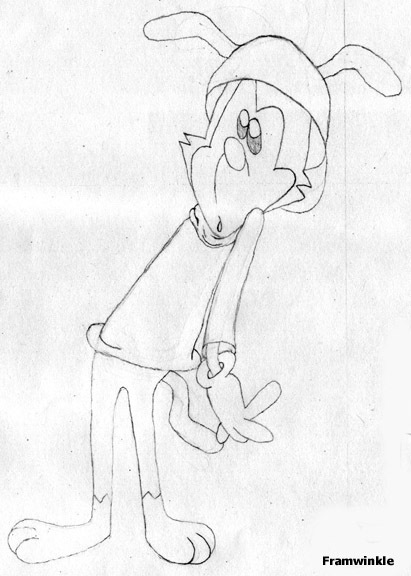 I used a frame of Yakko from the Animaniacs opening theme as a template because the dazed look on his face seemed to fit the senario perfectly. 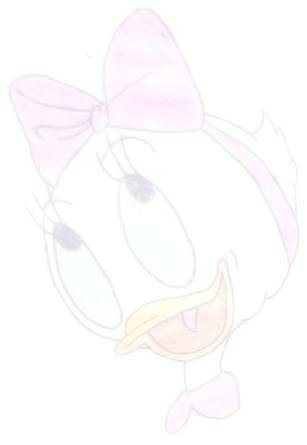 This first one is of Yakko dressed as Dot, and I like it the best out of all of them that I did, so I had to color it. Unfortunately, I used crayon. But then, it was only meant for fun, and never really meant to look good. 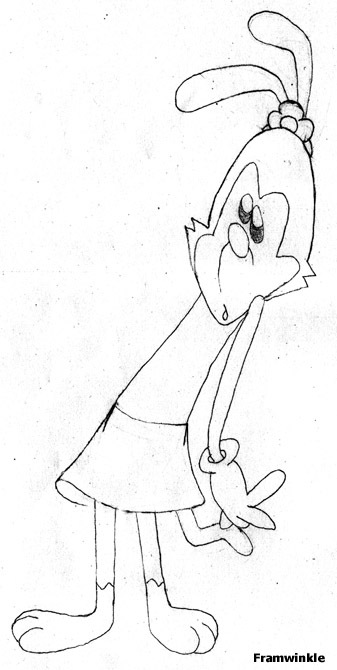 The other two that I did were of Yakko dressed as Wakko, and as Mindy. I also did one of him dressed as Buster Bunny, but that one just didn't have enough to difinitively identify him as Buster, so I didn't bother including it.